Labour needs more than “one more push” if it is to win the next general election, a think tank has warned. The party needs to win 64 seats, more than twice the net gains of early June, to win an election. In two-thirds of the winnable constituencies, voters from the C2 social grade outnumber those from upper and middle class backgrounds. This social grade of the skilled working class is the most sceptical of Jeremy Corbyn’s Labour, the research suggests. Policy Network – whose president is former cabinet minister Lord Mandelson – said Labour’s support is strongest amongst the professional middle class, economically precarious young people and those on the very lowest incomes. To win, the party needs to build support in other groups. The C2 group fits into Theresa May’s target of those “just about managing”, and the report describing them as people who struggle to “make ends meet”. If greater inroads are made into this group, Labour could hope to do more than simply edge across the line, but achieve a significant mandate. The report also shows that it was not simply the youngest voters who made the decisive impact in Labour’s electoral success, but rather those within the age range 25-44, particularly graduates, who made the difference. Being a graduate made a person nine points more likely to back Labour, while the Tories led amongst those aged over 35 without degrees. 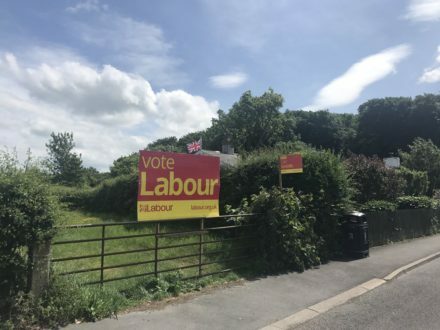 Those who voted remain, and are classified as ‘hard remainers’, in the EU referendum drove Labour’s gains in the South of England, rather than splitting for the Liberal Democrats. Labour’s two key policy weaknesses in the minds of voters are on economic competence and the ability to negotiate the best Brexit deal for Britain. The party not being trusted on the economy was pointed to by many as the reason for the 2015 general election loss. Voters associate Labour with the idea of equality, and more want the party to be the party of fairness – particularly those on low and middle incomes who tended away from the party in June. Voters still do not think of the party as strong or decisive, though they do favour Labour as the best for dealing with everyday concerns in their communities, improving public services or the cost of living crisis. Most do not think of Labour as being close to their traditional working class support anymore, but self defining as working class makes a person nine points more likely to vote Labour.